Pictured, from left, are Tyler Warren, Shelby Kuechle, and Tracy Huhn. Submitted photos. Four EV-W FFA Members participated in National FFA Convention activities. Katherine Gathje Ethan Geislinger, Keegan Kramer, and Shelby Kuechle participated in various events throughout the week. With years of investment, Minnesota teens have grown technical skills, decision-making abilities, and often their bank accounts. National FFA’s Proficiency Awards program is a highly competitive opportunity for Minnesota students. Last spring, over 40 students were identified as state winners from hundreds of applicants. Over the summer, Shelby Kuechle was identified as a national finalist in her respective category. In addition to individual recognition, Eden Valley-Watkins FFA was awarded as a three-star chapter, the highest recognition given to FFA chapters. The National Chapter Award is awarded to chapters that provide well rounded, high quality program that makes a difference in the lives of students. Chapters work to plan local programs and activities that engage their members, serve their community and strengthen the future of agriculture. Other three-star chapters from Minnesota included The Academy for Science and Agriculture, Chatfield, Forest Lake, Howard Lake-Waverly-Winsted, Martin County West, Plainview-Elgin-Millville, Princeton, Sleepy Eye, South Central Minnesota Agri-Science Academy, and Springfield. As the highest degree achievable in the National FFA Organization, the American FFA Degree shows an FFA members dedication to his or her chapter and state FFA association. 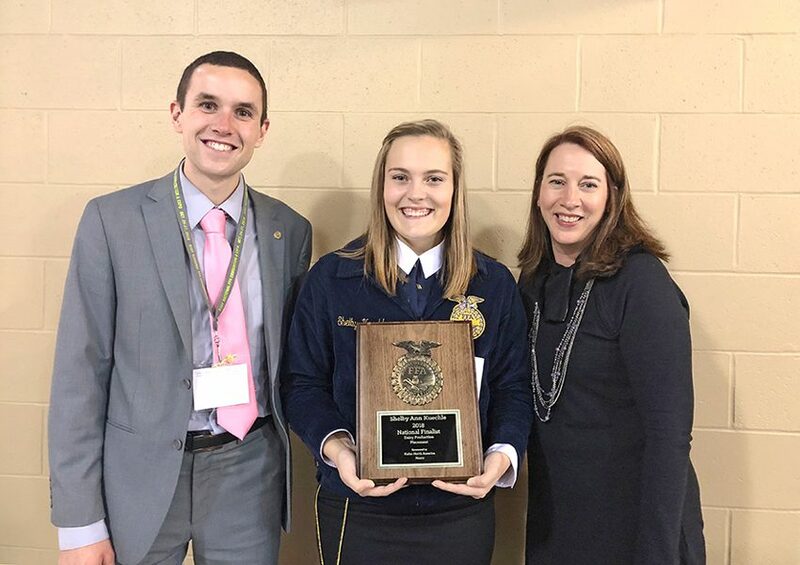 It demonstrates the effort FFA members apply toward their supervised agricultural experience and the outstanding leadership abilities and community involvement they exhibited through their FFA career. American FFA Degree recipients show promise for the future and have gone above and beyond to achieve excellence. Less than one percent of all FFA members receive this honor.